The Fallen Angel campaign combines five levels (four regular, one hidden) of intense action and storytelling with an all-new original soundtrack and a new cinematic video. It introduces Keeper Operative Ambrosia, a character that will definitely have an impact on the future of the LotC universe. You can get in on the beginning of the end (of LotC2 that is) by playing this side story that leads into the events that take place in the long awaited LotC2 missions 19, 20, and 21. The Keepers (an organization of which Ambrosia is a part) play an integral role in the final missions of Episode II. 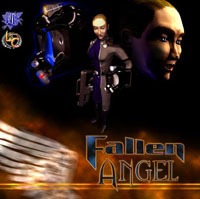 To learn more about them, it is advised that you play Fallen Angel. The hidden mission will also shed some light on many story elements which involve the Oracle. 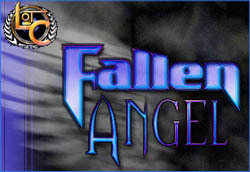 Shown below is an image of the CD cover for the Fallen Angel score which was available on mp3.com for awhile before it went out of business. PC Gamer Review: As the very best of StarCraft mod campaigns, Legacy of the Confederation is so gripping that many consider it as good as Brood War. This three-episode, 28 mission saga is actually something of an alternate take on that official expansion, so if you've played Brood War, forget about the UED and the Overmind Cocoon and enjoy this story about the Terran Confederation's drive to exterminate all Zerg in the universe. Production values are incredible. Missions are intricately designed, art design remains fairly true to the game, and custom voice-acting and effects completely refashion the soundscape.